If you update your iOS device from iOS 5 to iOS 6, 6.1, or 6.1.2, apart from native Google apps like YouTube and Maps, you’ll notice that videos from websites like YouTube on Safari will no longer play the audio in the background. Although music apps such as Pandora and Spotify play background audio fine, Apple disabled background audio playback from any video played on the web browser. This was a great feature in iOS 5 because it allowed you to search a song/or a video conversation in YouTube and just play the audio in the background while the phone was on standby, saving battery life. This was simply done by double tapping the home button to bring up the app switcher, sliding to the left, and clicking play – the audio would have automatically kept playing. 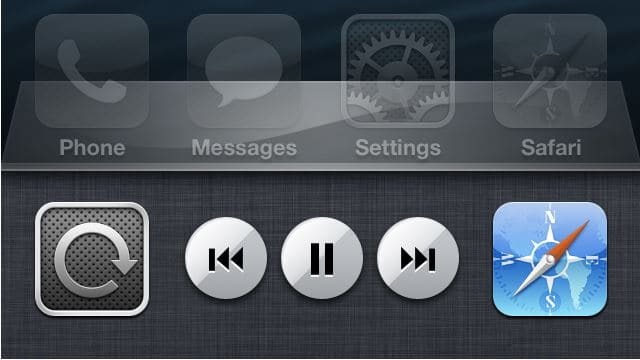 If you do this now with iOS 6 the audio will not play. Luckily, users with jailbroken iPhone can easily fix this bug by downloading a tweak from Cydia. The Cydia tweak is called “BgVideo” and is available in Cydia for free. But to download it you’ll first need to add a new repo by going to Manage > Sources > Add and type http://cydia.myrepospace.com/bestguyhaha as the new source in Cydia. After the source is added to Cydia search for “BgVideo” and download it; no additional settings or app will be added to your device, so there’s nothing else you need to do after downloading it. That’s it! You can now play the audio of videos from Safari, Chrome or other browsers in the background. The YouTube app from the App Store will not play the audio in the background, so use YouTube from Safari or the web browser instead.